"The Perfumery is Art! The composing Perfume is an actual Art! It's the same, like in the Music! The Perfumery is all about notes and harmonies!" 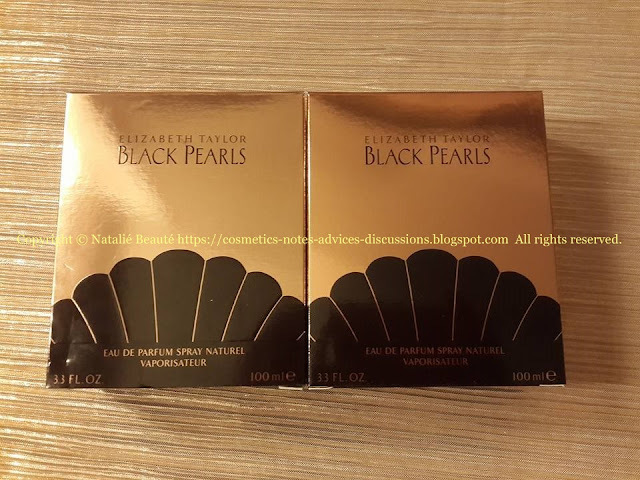 Some time ago, I found this treasure - BLACK PEARLS by ELIZABETH TAYLOR. 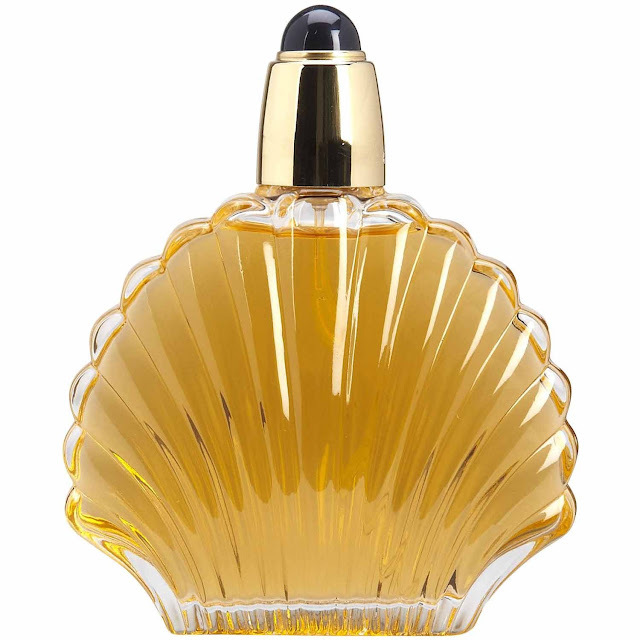 I was very fascinated by this fragrance, so, I put it in my signature list. Later, I also wrote my personal observations and impressions in review. 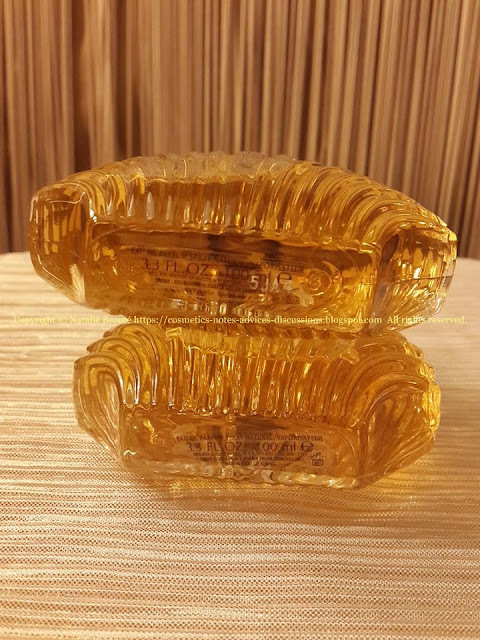 Some time ago, I found it again available for sale - 2 bottles only. So, I grabbed another bottle. This time, I was quite disappointed the same way, when I bought another bottle of another favorite treasure - CAFE by COFINLUXE. You can read more in details in my review and post, where I compare both editions. The same, I will do here. 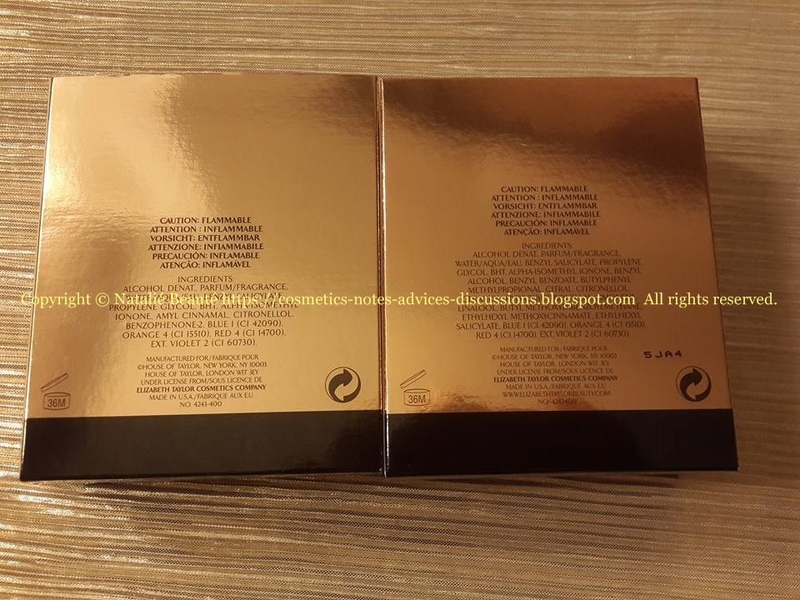 On the left side of the photos is the old edition - OE, and on the right side is the new edition - NE. Both products are visibly quite same, until the moment, when you compare both of them - one next to other. The boxes are made from the same looking material and print. There is very very slight difference - the old edition is one idea more lighter, than the new edition. The first thing to search for - on the back side of the boxes, was, of course, the ingredients list. As I was supposing before, I really noticed a difference. 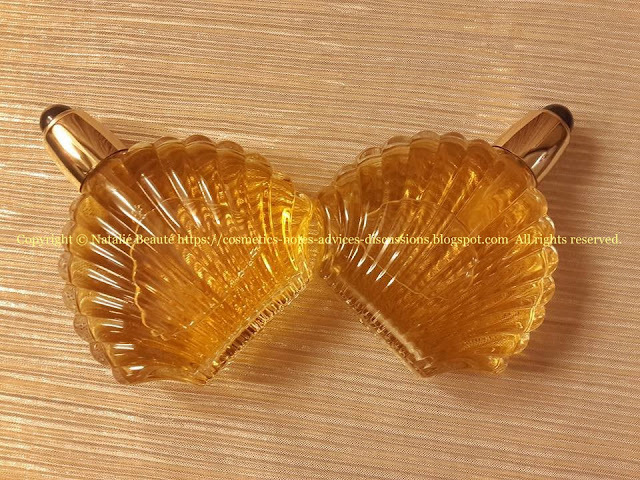 Now, I was sure, that there will be slight change in the fragrance, too. On the NE box, you can notice the batch code. 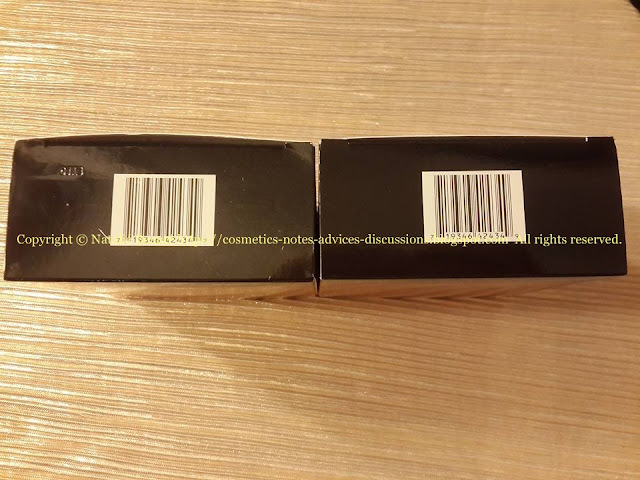 The bottom side of the boxes had the same bar code, but - as it's visible, on the old edition you can see the batch code engraved. On the new edition - it's on another place. 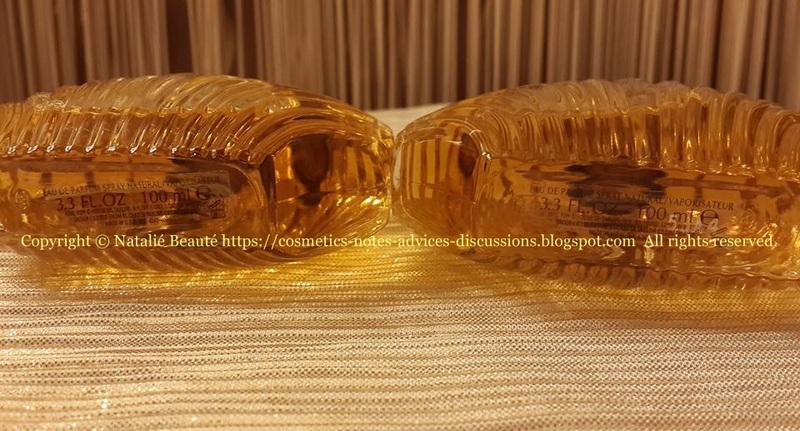 When you put very close the both bottles, you can detect also slight difference in the color of the perfume - OE is one idea more saturated (juicy), than the NE, which has lighter color. On the bottom side of the bottles, the labels and the texts are quite same. On the right bottle, there is also the batch code printed. When I tried both of them - the difference was the same kind of, like between the both editions of CAFE perfume. What do I mean, when I am saying "the same kind"? The OE "sounds" full of color, of life, of juices, while the NE is "almost same", but stays somehow hollow. Like hollow shape of flower, for example - there is form, an idea, but no quantity, no message inside. BLACK PEARLS has the same difference between these two editions. You spray the NE on your skin, after short time - once the top notes fade, you feel the heart notes like some contours of something there inside. It smells "almost same", but is not the same. If you have very sensitive nose, you can detect the difference very fast. It's so obvious! The juicy Peach and warm Vanilla are still there, but some reminiscences of them. 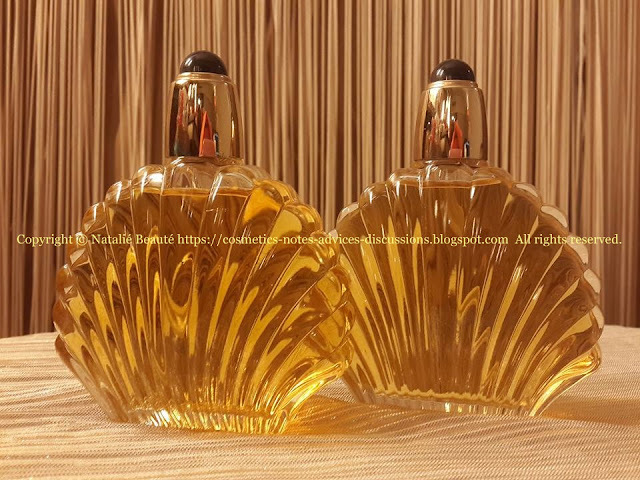 For the perfume appreciators and collectors, such change is big disaster. It can be absolutely compared with the passion of the oil paintings appreciators and etc. Yes, we understand, that these changes - reasonable or not, are required and must be followed from the perfume companies. 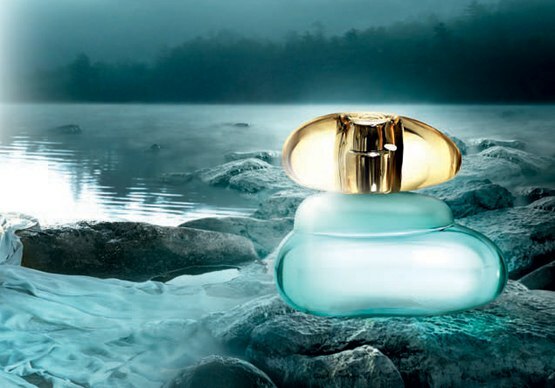 The synthetic replacements of the natural ingredients CAN'T make the same perfume compositions. The Perfumery is Art! 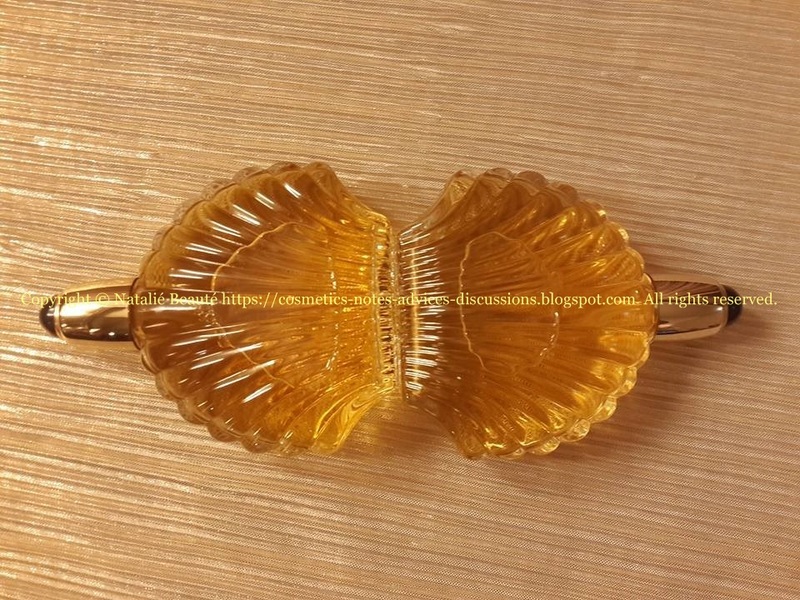 The composing Perfume is an actual Art! The same like in the Music, the Perfumery is all about notes and harmonies! It seems, that if this process of reformulation gets all the perfume masterpieces, the Perfumery will no longer be, what it means to be! There will always be something missing - the soul of the creation!